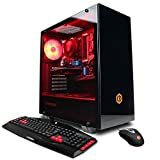 If you are serious about gaming and want something a little more portable than your gaming PC, without compromising on graphics and processing power, then you have come to the right place! Gaming laptops offer the portability of a laptop without giving up those specs you need to enjoy your favorite game. Sifting through all the possible products out there can be harder than evading the police during a ‘Need for Speed’ high speed chase. To help you sort through the junk and choose the perfect gaming laptop for you, we have put together this shopping guide, getting you gaming in no time. 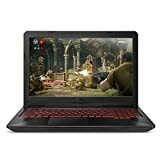 14 Inch Gaming Laptops: If you are looking for a gaming laptop that can fit easily into your backpack, has a good battery life and is conveniently small, then the lightweight 14 inch is for you! 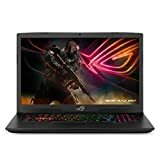 This size gaming laptop is perfect for the traveling gamer who is always on the go and wants their favorite game with them wherever they go. 15/16 Inch Gaming Laptops: These gaming laptops are a good compromise between weight and screen size. They normally weigh up to 9 pounds only, but their screen size is sufficient enough for good visual enjoyment and their keyboards are comfortable. 15-16 inch gaming laptops are ideal for gamers who need to travel but still want something substantial enough to play at home. 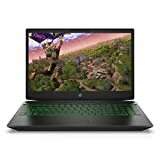 17+ Inch Gaming Laptops: Gaming laptops that are between 17-21 inches offer gamers the best visual experience when it comes to portable computers. 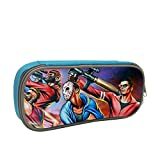 Weighing about 10 pounds they are small enough to fit into any dorm room but big enough to make sure you’re getting the best enjoyment out of your gaming. 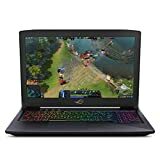 If you are looking for a gaming laptop that fits neatly into any size space and is portable enough to move from room to room or occasionally take with you on vacation, then this laptop is for you. Graphics: Gamers who can play games on high settings and still get the most image detail, rate their gaming laptops much higher. A good GPU will ensure a smoother image and offer you much less lags while playing. Runtime: Reviewers consider battery life and boot times an important rating factor. Gaming laptops with a longer battery life and faster boot times will mean it will start up quickly and run for longer times. If this is an important factor for you, reading the product specs and reviews of the top brands will help choose a model best suited to your needs. Comfort: A big complaint among users is heating regulation. Playing games uses a lot of hardware and although cooling pads offer a great solution to this, finding a laptop that stays cooler will give you a little more comfort if your cooling pad or tray is not with you. Build: Gaming laptops with higher reviews offer users a solid, durable build with responsive backlit keyboards. These are valued features for your gaming laptop. Durability will ensure longevity and a backlit keyboard will allow you to see controls in any light conditions. The most important specs to considerwhen choosing your gaming laptop is: the graphics card (or GPU), the CPU (or processor) and the RAM (random access memory). In today’s market, you should be looking for at least a Core i7 CPU, 8GB of RAM, and a capable GeForce or Radeon graphics card. There is no question, when it comes to gaming, your laptop needs a GPU and if you want the best out of your gaming experience this is something you shouldn’t compromise on. Choosing a higher-end, good quality gaming laptop will ensure much higher user satisfaction. The CPU is the hardware which will affect how efficiently a computer carries out the instructions of a computer program. Most good gaming laptops should include a quad-core and anything less than that would not offer the ultimate in performance. RAM is what determines how many programs you can run on laptop at the same time before it starts to slow down. For the best gaming, choose a laptop with at least 8GB of RAM. RAM is also something you can upgrade later should you need more. Lets talk drives! The two types of drives your laptop could come with is SSD (solid state drives) and HDD (hard disk drives). SSDs offer reduced game and content loading times and are durable. HDDs generally offer more storage space and a lower cost per gigabyte rate making them more cost effective. Gaming in general uses a lot of battery power but some laptops perform better than others. If you are planning to travel a lot with your new gaming laptop and battery power is important to you, checking the manufacturer specs and customer reviews of the best brands will ensure satisfaction. Gaming laptops generate a lot of heat and it is worth looking at getting a cooling tray or a mat for your laptop. Screen resolution is important for gaming and the bigger the resolution, the more detailed and clearer the images will be. For the ultimate gaming experience, opt for 1080p resolution. You also can’t go wrong with a 1600 x 900 display on your 14-15.6 inch systems. Although 720p may be sufficient for a lot of laptop uses, these are not recommended for gaming and will not ensure viewing quality. USB slots are vital to connect external hard drives and computer accessories and will add a lot more versatility to your gaming laptop. 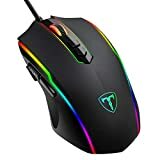 There are a lot of gaming accessories out there to enhance your gaming experience: gaming mice, keyboards and headsets are designed to help you get the most out of gaming and your laptop. You can even upgrade your old desk chair for a gaming chair. A chair specifically designed for gamers offering hours of comfortable playing. 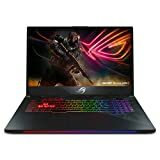 Gaming laptops that come with back lit keyboards are not only cool to look at but offer gamers better control when lights are dimmed for maximum game viewing pleasure. If you are looking at using your gaming laptop to play your favorite movies or read disks, make sure it has an optical drive. Some models also include blu-ray players for those gamers who want to use their laptops to watch their blu-ray collections as well. If you want to use your gaming laptop as an MP3 sound system as well as for playing, look for deluxe models with good quality stereo systems that include sub-woofers to ensure great sound. ASUS: Taiwanese manufacturer ASUS draws their name from Pegasus, the winged horse of Greek mythology. In 2013, they were the world’s fifth largest PC vendor by unit sales and are renowned for gaming laptops production. Lenovo: The Lenovo brand started in just 2004, but by 2013 they were the world’s largest PC vendor by units and produce highly-ranked gaming laptops. Razer: Founded in 1998 with the introduction of the Boomslang mouse, Razer’s slogan, “For Gamers, By Gamers,” leaves no doubt as to who their target market is. MSI: Micro-Star International Co., Ltd., based in Taiwan, is one of the world’s largest graphics card and motherboard manufacturers a huge contender in gaming laptops.